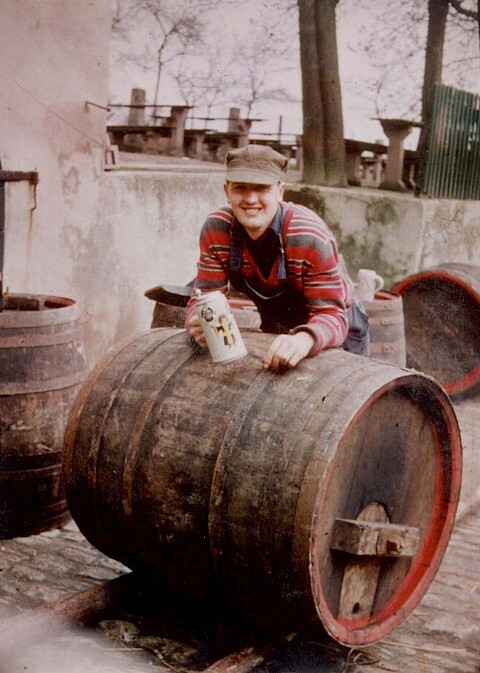 1874: The brewery is founded by Michael Bayer, brewing just one style of beer during the winter. 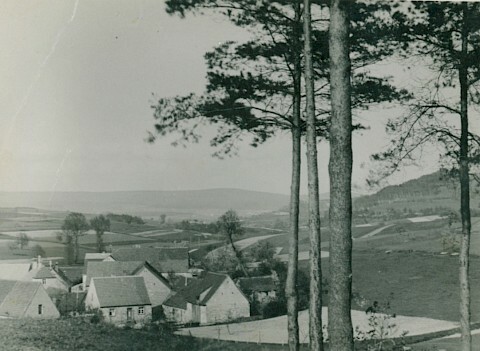 1908: Adam Grünthaler takes over the brewery and has it registered after first becoming a member of the Bamberg brewery and malting guild and then of the Reich’s guild association for the brewing and malting craftsmanship (Reichsinnungsverband des Brauer- und Mälzerhandwerks ). 1960: Michael Grünthaler succeeds Adam Grünthaler for just a few hours. He dies of cardiac arrest at the same night aged 50, leaving behind his wife and three daughters. A community of heirs takes over the brewery, inn and farm. The deceased owner’s wife Maria looks after the inn and the three daughters Gunda, Mathilde and Anna, while the beer is brewed by Michael Grünthaler’s step-brother Michael Bayer and the citizens of the Weiher community. 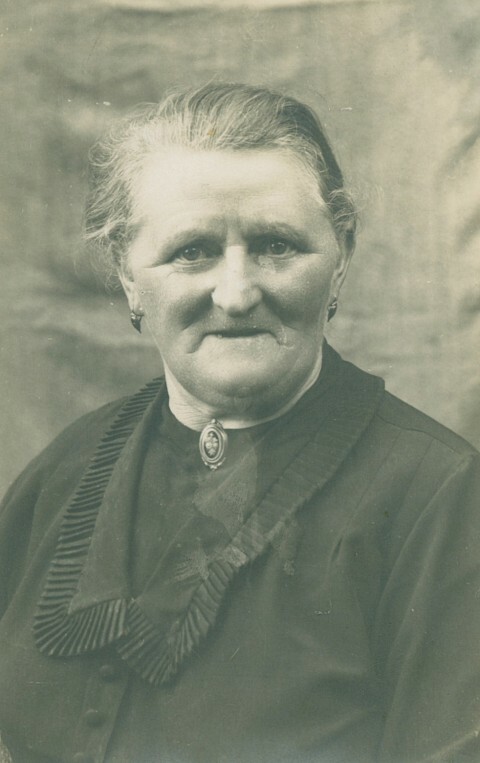 The youngest daughter Anna marries the farmer Erwin Kundmüller. 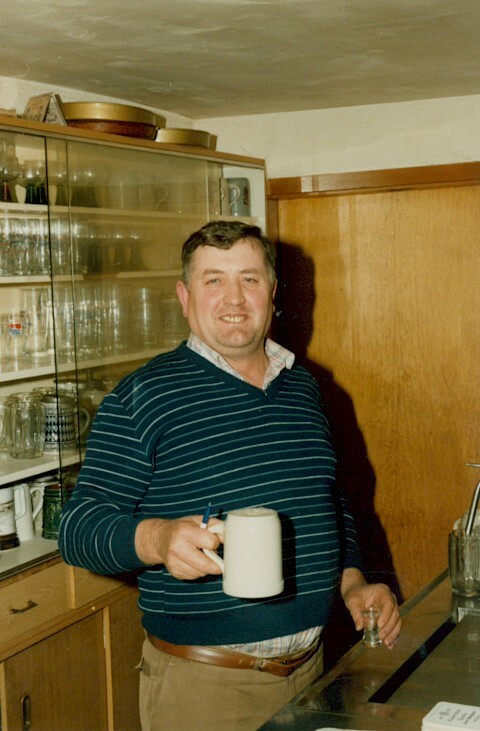 From 1969, they jointly run the brewery inn - with great commitment and passion they work round the clock. 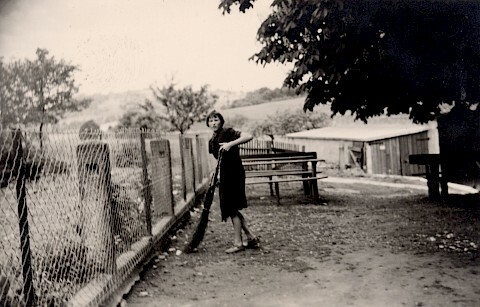 Anna is mainly involved in the farm work, while Erwin works in the fields and also brews beer during the winter. This is due to the fact that there is still no refrigeration. He makes around 350 hectoliters of beer per year (1 HL = 100 liters). The amber-colored, unfiltered beer is stored in big 600 liter “mother” barrels. The stall and barn are located were today the annex with the adjoining room and distillery can be found. And not far away: An old cave serving as one of the storing places. The beer is still carried in vats from the brewhouse to the “mother” barrels. Since the barrels are made of wood, a cooper is called once or twice the year. The barrels are then manually sealed, traditionally by burning a piece of pitch inside, which would not be possible today. Fermentation takes place in open vessels, which is the traditional method of many breweries at the time. This means that the beer is pumped to a wort chiller and then to a tub where the yeast is added. The beer remains in the tub for one week before the conditioning starts. It is only in 1990 that open fermentation is gradually replaced by fermentation tanks. The old fermentation cask used until 1969 - as well as the former lauter tun - can still be viewed as historic remnants in the inn. 1989: Roland Kundmüller joins the family-owned business. 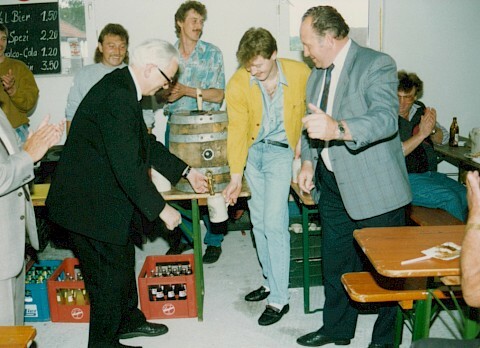 While “Weiherer Lager” was the only beer brewed and tapped during his apprenticeship, Roland Kundmüller introduced the “Weiherer Bock” along with the now traditional ceremony marking the tapping of the first keg of the new season’s bock beer. 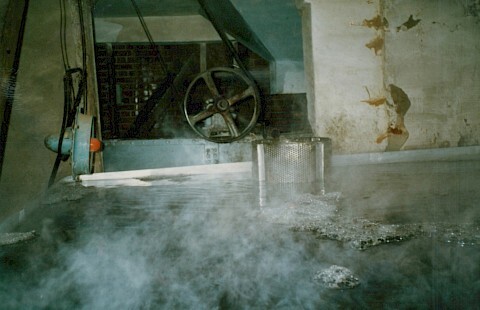 1990: A new brewhouse still in use today is built. Numerous modifications and refurbishing measures are conducted over the next few years. 1997: Beer is filled in bottles for the first time, and one year later also in swing-top bottles. Weiher’s first top-fermented beer, Weiherer Weisse, is brewed and soon followed by Weiherer Pils. In the new millennium, or rather in 2005, a major new project begins: to boost capacity, a new warehouse and logistics center is built next to the brewery. 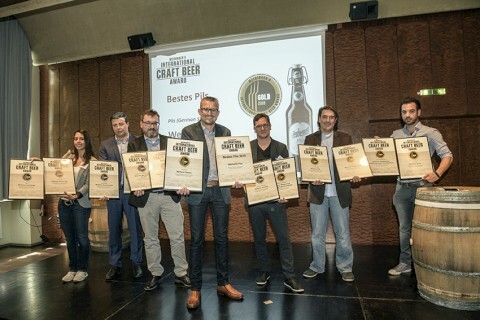 The Kundmüller Brewery receives its first awards a little later, starting with the “Bierkeller” (beer garden) of the Year Award and the European Beer Star Silver Award for Weiherer Rauch. 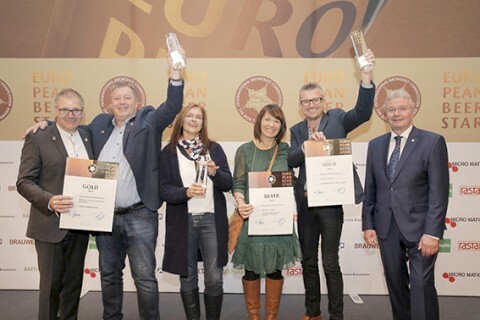 The following years see Kundmüller Brewery take another 12 awards in total, including the Consumer’s Favorite Award on two occasions. 2007: Another big step in the history of Weiher: Roland and Oswald Kundmüller join the management board and shape the development of the family business from now on. 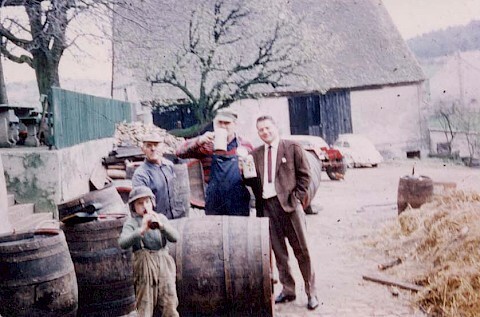 Because the family cares about its homeland and the protection of the environment, the Kundmüller Brewery obtains certification as an organic brewery in 2011. This is followed by the introduction of Weiherer Urstöffla and Weiherer Keller-Pils, both still part of the range today. AND: Long before the craft beer trend takes off, Roland and Oswald Kundmüller create their first extraordinary beer specialty in a champagne bottle, Weiherer Bock Bourbon Style. In 2012, a new filling center is built and the storage cellar extended. Roland Kundmüller has now his own beers in his own hands from the first to the final steps. In the same year, Kundmüller Brewery receives the “Solarbier®” brewery accreditation for being a solar-powered brewery. From now on, part of the product range is brewed using renewable energy only. And development continues: 2 further beers are added in 2013, Weiherer Landbier and Weiherer India Pale Ale, a special limited edition brew which is included in the regular product range two years later. 2014 is a year full of celebrations. To mark its 140th anniversary, Kundmüller Brewery launches the Weiherer Special Brews range, featuring the Weizenbock and Weiherer Festbier 1874. They also win the World Beer Cup Silver Award for Weiherer Rauch and Monde Selection Gold Awards for Weiherer Keller, Weiherer Urstöffla and Weiherer Weisse. In the same year, renovation of the inn starts and continues through to its completion as a modern, yet traditional country inn and brewery in 2016.